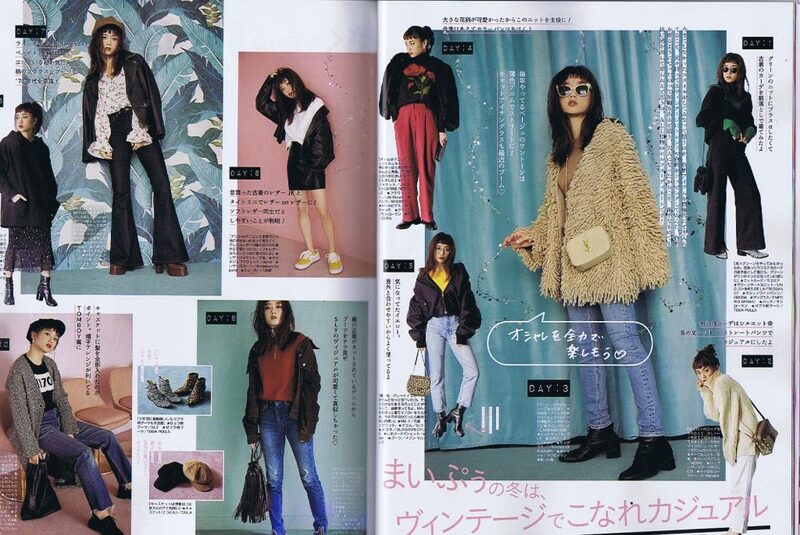 Below shows a range of scanned in spreads and magazine covers from a range of National Japanese Fashion and Beauty magazines which I purchased during my research trip to Tokyo. 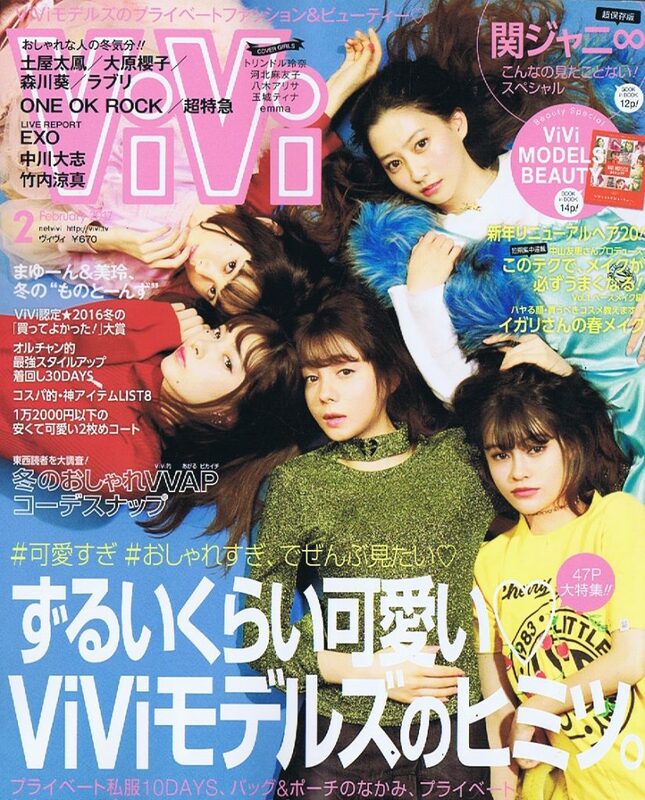 I picked these up due to having a different angle in regard to both content and design, to that of Vogue magazine and Harpers Bazaar. 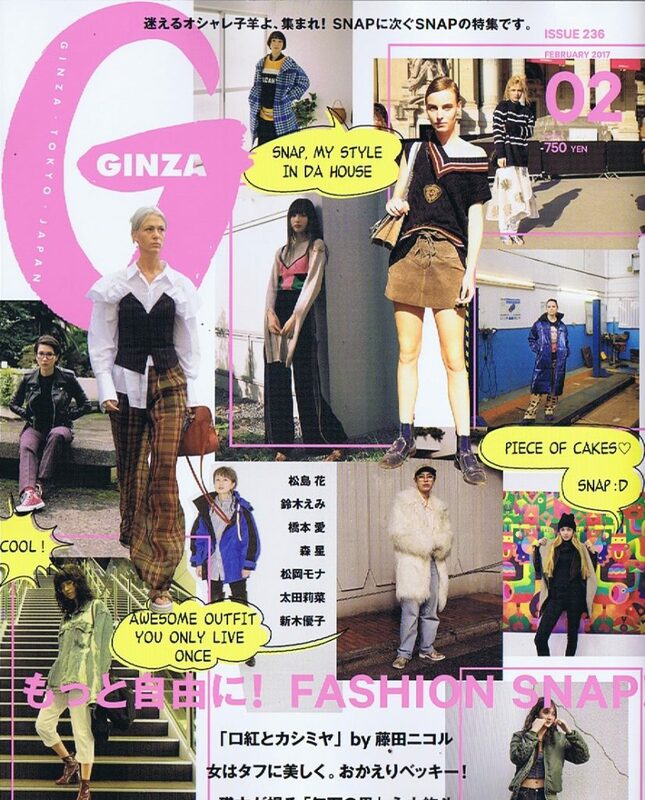 In addition, I also found these to be great visual references and inspirations in regard to aesthetics and design choices, with a range of colour, typography and layout being used, giving each a distinct ‘Japanese’ tone, opposed to being more ‘Westernised’ as seen across Vogue, for example. 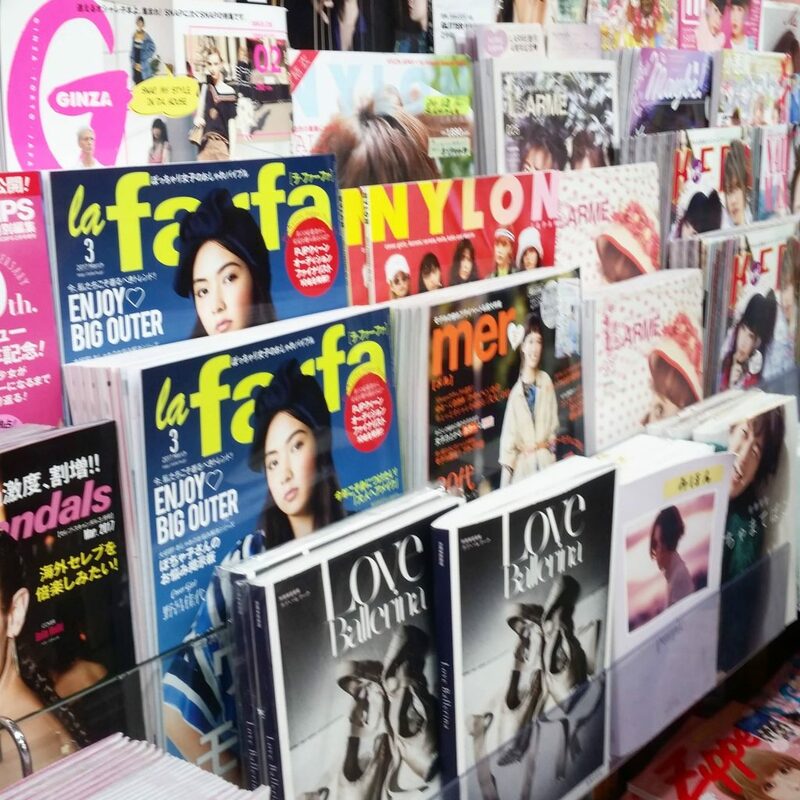 Unlike the Vogue and Harpers Bazaar, these magazines have around 90% Japanese led content. 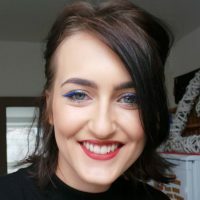 This includes, models, advertisements, brands noted and editorial content. 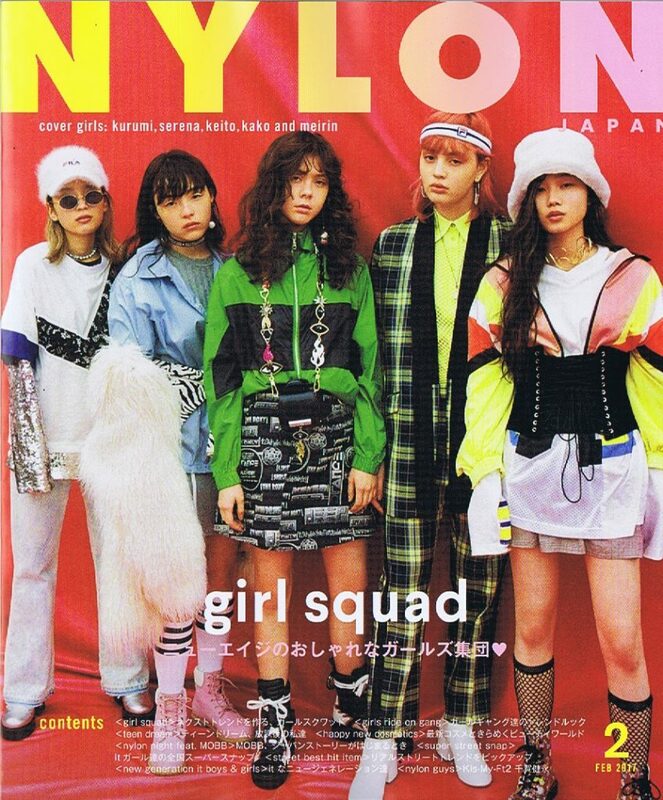 However, similarly to Vogue, magazines such as ViVi and Nylon still use English for their main headlines, allowing ‘Gajins’ or ‘foreigners’ to still relate, and understand the article at hand even without reading the full body of text. 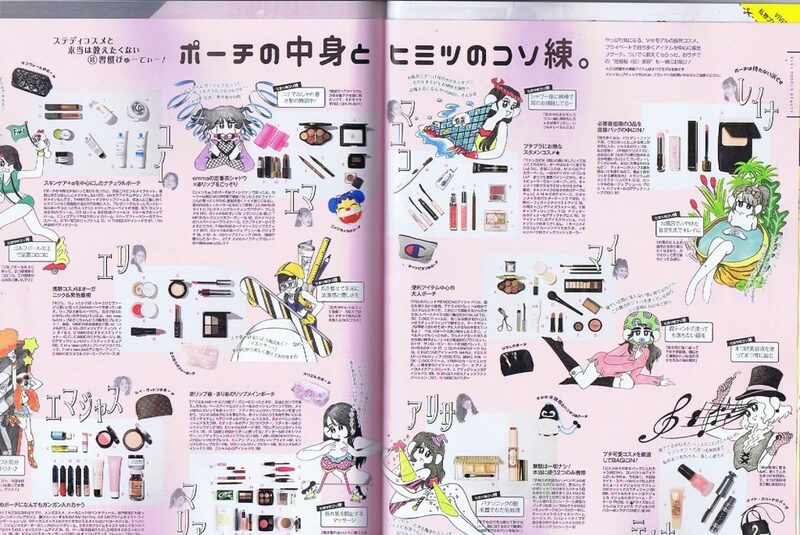 Also shown is a magazine, Maquia, which is entirely based on beauty – no magazines of this nature are available in the UK, and shows how big the beauty industry is in Japan in relation to at home. 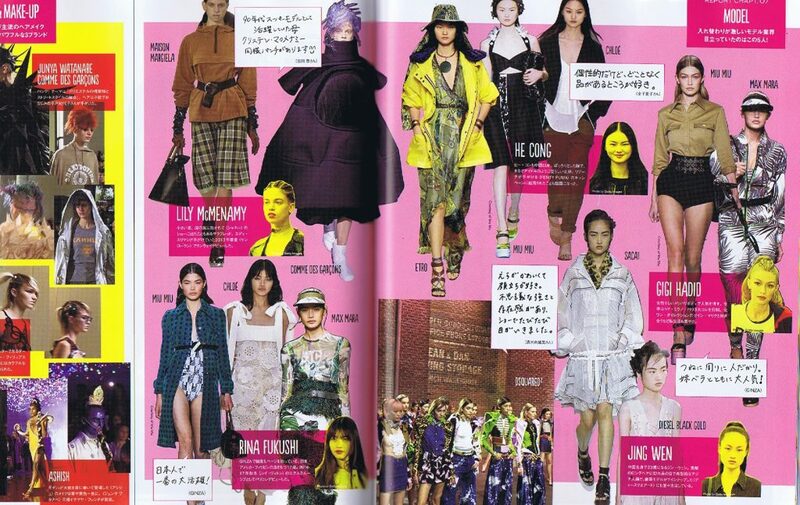 Within the magazine is a combination of both Japanese and Western brands, however featured are ONLY Japanese models, opposed to a combination, or a predominant Western influence. 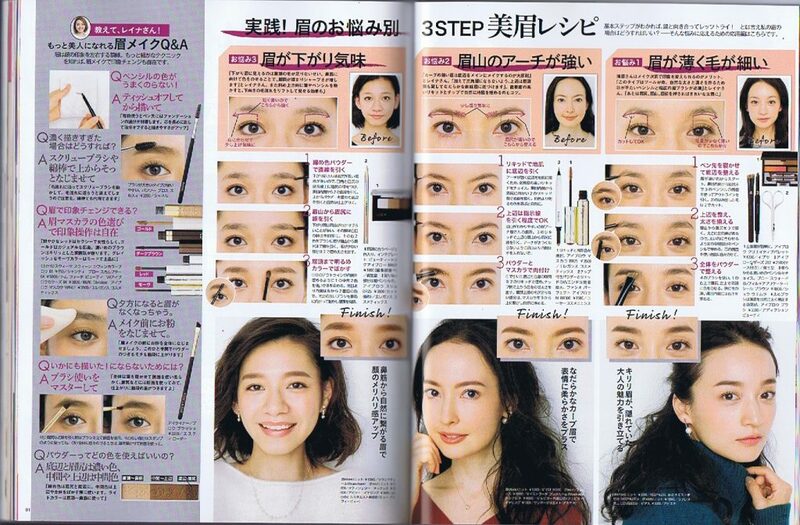 Step-by-step guides are heavily seen through Maquia, and other magazines such as Ginza, which allow consumers to understand how to use products and what the outcome will be – this was discussed on a previous blog post, as well as being discussed heavily with both Nicole Takahashi (beauty blogger) and Vogue Japan in different interviews during my time in Tokyo. 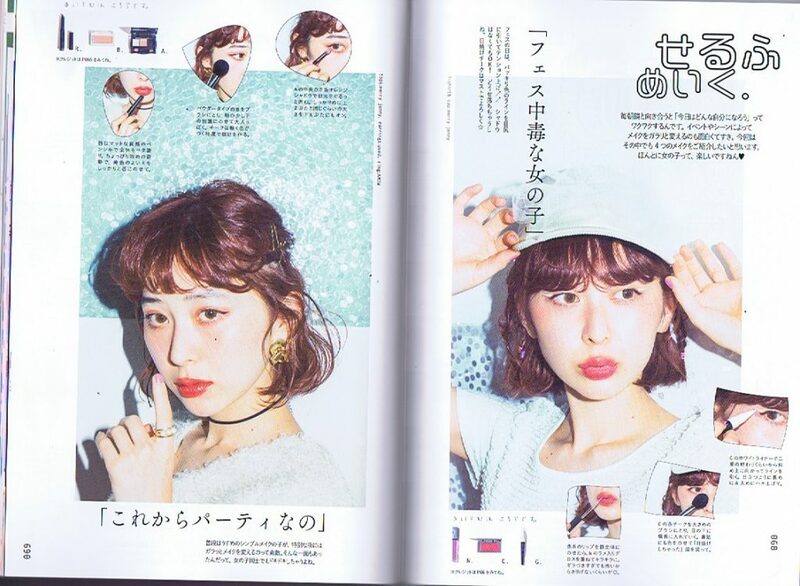 I have noted on a previous post, that Japanese women want to look youthful, and this is reflected through the aesthetic design choices, including elements of collage and typography, as well as having a playful and energetic approach to the layout design. 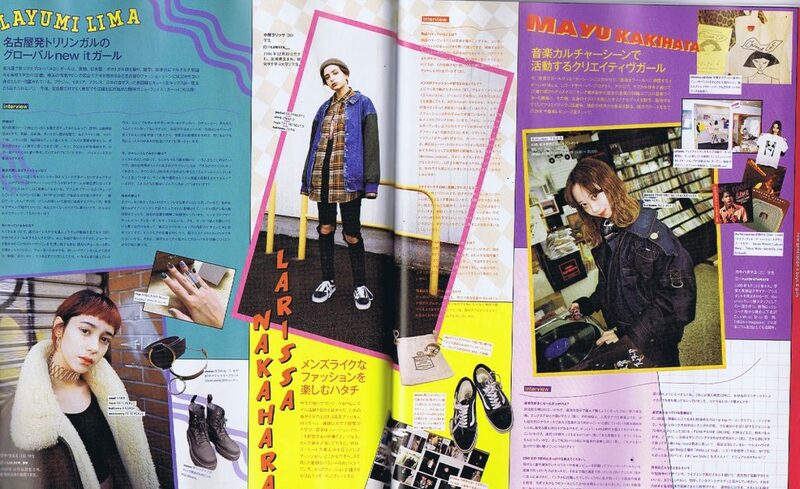 I find these magazines extremely inspiring and hope to channel this aesthetic into my practical work throughout this semester and going forward also. 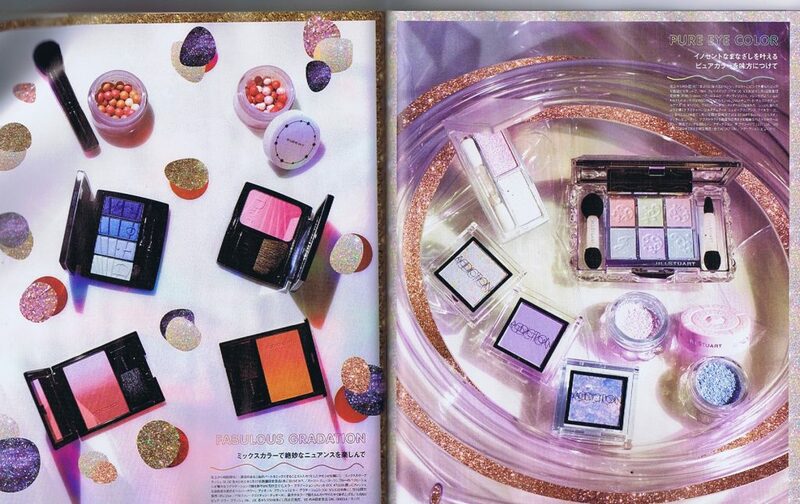 British magazines tend to be affluent in design, being more stripped back, whilst these particular examples show an influx of products, and design direction, which really differentiate the two cultures which I am researching into comparative nature.